ZAMBIA failed to qualify for the 2017 Africa Cup of Nations, but referee Janny Sikazwe somewhat ameliorated for that disaster when he officiated at the soccer extravaganza, including handling the grand finale. Such honour does not come easily; itâ€™s a consequence of hard work, consistency and, simply put, excellence. Itâ€™s not easy to tame the Lions, especially if they are indomitable or indeed have the Pharaohs submit to your instruction. But Sikazwe oozed extraordinary confidence and easily handled the match to the satisfaction and excitement of all, including President Lungu. Sikazwe will certainly shoot through the sky if he keeps his discipline and the proverbial eyes on the ball. 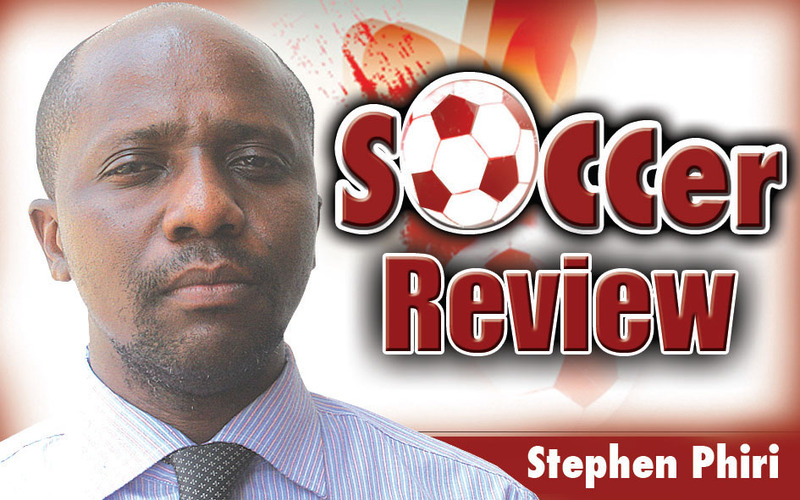 He is, by the way, a teacher based in the modest town of Kapiri Mposhi where the only football he watches is between teams spotting pot-bellied men on some field they call ground. By the breath of air into a piece of cylindrical metal mounted in his mouth, he ended the match, declaring Cameroon 2-1 winners over Egypt, and therefore the 2017 champions. No one should pretend to forget that Sikazwe, 37, also officiated the final of the Club World Cup between Spanish side Real Madrid and Kashima Antlers of Japan. Let me delve a little deeper into Cameroon, whose performance made bookmakers look like feeble and totally misdirected fortune tellers. These so-called analysts making quite some noise in our television screens told us that champions would be one of the following: Algeria, Egypt, Ghana, Ivory Coast or Senegal. They should now be trotting back to cover their huge misleading tracks. Back to Cameroon; they missed the 2012 and 2013 editions after failing to qualify. Perhaps thatâ€™s why Zambia won! On their way to glory, Cameroon finished runners-up in Group A that had Burkina Faso, Guinea Bissau and hosts Gabon. Burkina Faso topped the group. In the quarter-finals, Cameroon beat a star-studded Senegalese side 5-4 on penalties after a goalless draw in regulation time, edged Ghana 2-0 in the semi-finals and silenced Egypt with a come-from-behind win. The Indomitable Lions were without seven key players who snubbed call-ups, opting to pocket millions of dollars at their bases in Europe. The young players with their technical bench led by Belgian Hugo Broos embraced self-belief and they got the fruits of hard work. In the next two years, Cameroon will host the Africa Cup and by that time the Indomitable Lions will be hungry for more success. I hope our Zambian players and the national team technical bench followed the Africa Cup of Nations with an eye of an eagle. This is the same team that battled to a 1-1 draw with Zambia in a 2018 Russia World Cup qualifier in Limbe on November 12, 2016. Three months down the line, the players have matured to a level where they could overcome the likes of Senegal, Ghana and Egypt. Between now and June when the 2019 Africa Cup of Nations qualifiers kick off, Chipolopolo coach Wedson Nyirenda and the bench should come up with a team that will go all the way and qualify for the showpiece. Zambia will face Guinea Bissau, Mozambique and Namibia, and in all fairness it is a fair draw. The mistakes made during the last qualifying series should not be repeated. Nyirenda and the players should know that winning at home is a must if qualification is to be attained. During the 2017 Africa Cup of Nations qualifiers, Zambia managed three points from a possible nine at home. Zambia drew 0-0 with Guinea Bissau and managed 1-1 draws apiece with Congo-Brazzaville and Kenya. Away, Zambia managed a 2-1 victory over Kenya, lost 3-2 to Guinea Bissau and drew 1-1 with Congo Brazzaville to shatter dreams of qualifying for the 18th appearance at the continental showpiece.